"Like any other old woman, I like to tell my stories. Telling each other our stories is a traditional way that women have always shared their knowledge and their wisdom." Marain Van Eyk McCain, Elderwoman. The photograph above is of the artist Tasha Tutor. During her life, Tasha gifted the world with joyous illustrations of folk and fairy tales. 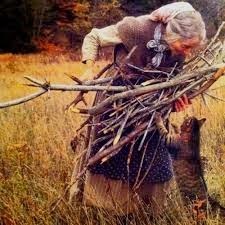 She herself could be said to have embodied the archetype of the "Wise Old Woman." What are archetypes? Archetypes are universal roles, characterizations and patterns of behavior. The Swiss psychoanalyst, Carl Jung, included archetypes within his concept of the "collective unconscious": that part of us that can access universal symbols, metaphors and stories. In a way reminiscent to the migration of birds flying thousands of miles from home without a map, the collective unconscious is the "secret road map" to our psyche. He proposed that different cultures far removed from each other created art, symbols and stories with uncanny similarities, by accessing the "collective unconscious" (contained perhaps within our very DNA). Similarly, archetypes become the known patterns of behavior in all our lives. No matter where or when we have lived on earth, there is a recognition and an understanding of the archetypes of the "Good Mother," the "Trickster" or the "Hero." Although Jung examined only a handful of archetypes during his life time, other scholars have extended his theory to more and more common behavioral patterns. Archetypes are commonly used today in literary analysis and identified within folktales. In Archetypes and Motifs in Folklore & Literature: A Handbook, authors Jane Garry and Hasan El-Shamy define archetypes as "a pattern of primary significance with deep psychic resonance that also occurs in various literary genres." The "Wise Old Woman" or the "Wise Crone" character qualifies as an archetype as it is found universally within differing cultures throughout time. How best to define her? Although the "Wise Old Woman" archetype is not identified fully within any of the standard works, we are not without guidance. Carl Jung wrote about three archetypes that can give us clues as to her nature. These include the "Good Mother," "Great Mother," the "Wise Old Man," and the "Shadow." Jung identified the "Good Mother" as one who has "maternal solicitude and sympathy; the magic authority of the female; the wisdom and spiritual exaltation that transcend reason; any helpful instinct or impulse; all that is benign, all that cherishes and sustains, that fosters growth and fertility." However, to Jung, all archetypes contain both a light and a "shadow" side. The "shadow" side includes both the unknown or unconscious elements and those that are more negative in nature. To Jung, the "Good Mother" then becomes the "Great Mother," the one that is the mother of the mother. As the "Great Mother" she embodies both the wisdom and the malevolence and destruction of the witch (both the shadow and the light). 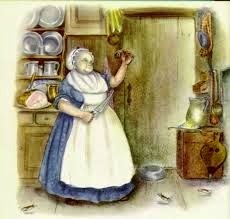 The "Wise Old Woman" is not a witch, evil crone or hag as found in many folktales, for these are one-sided characterizations representing only the "shadow" side of the "Great Mother." 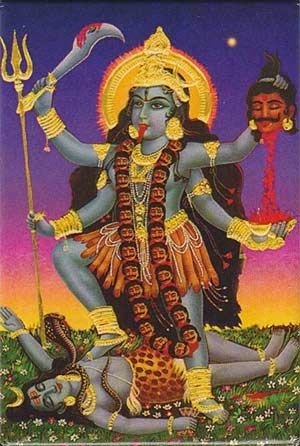 Instead the Indian goddess Kali is a better example of the "Great Mother" with her dual qualities of destruction and creation. Jung takes this concept of duality further in his discussion of "The Wise Old Man" archetype. This archetype has a spiritual component and can be represented as either the wise old man (a personification of God) or as the wicked old man, for each element is represented equally within this archetype. 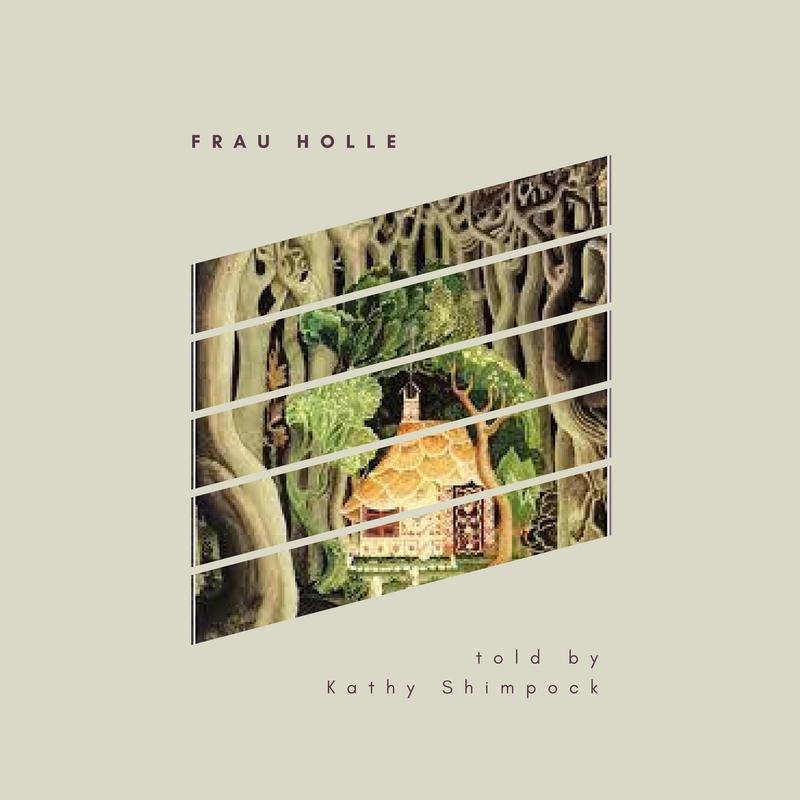 Symbolically Jung believed that both the "Wise Old Man" and the "Wise Old Woman" archetypes represented the "Self," whether seen within story as a goddess, a "fairy godmother," or a helper. The "Self" is the center of the psyche, the part which integrates both our light and darkness through a process known as individuation. What qualities then define the "Wise Old Woman"? She embodies both qualities of light and darkness within one character. The "Wise Old Woman" is kind, compassionate and wise, and also mysterious, magical and prophetic. We see her in folktales as the protective old woman who comes to the aid of the hero and as the one who test the worthiness of that same hero. We also occasionally see her as the unlikely hero in her own right. She is the keeper of traditions and knowledge, the voice of nature, independent, and respected, eccentric, intuitive and instinctive. She is the one to be listened to, for she knows the truth and can see through any illusion. At times she is benevolent while at other times she appears detached, cryptic and even cruel. She is both judge and jury and dispenses justice to those who are found by her to be unworthy. This is the complex archetype that we will be exploring together in folk and fairy tales, mythology and contemporary fantasy fiction and films. We'll discover her in story and find her within ourselves and others.